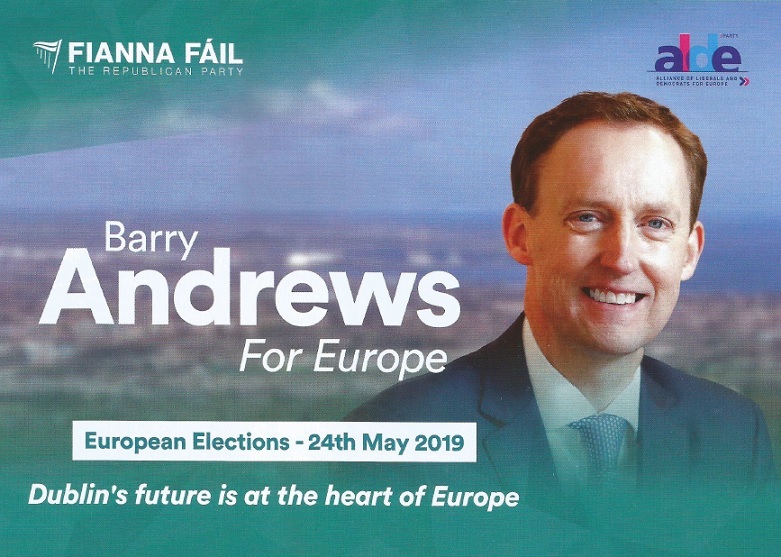 A Leaflet from Barry Andrews of Fianna Fáil who is running in Dublin in the European Elections. 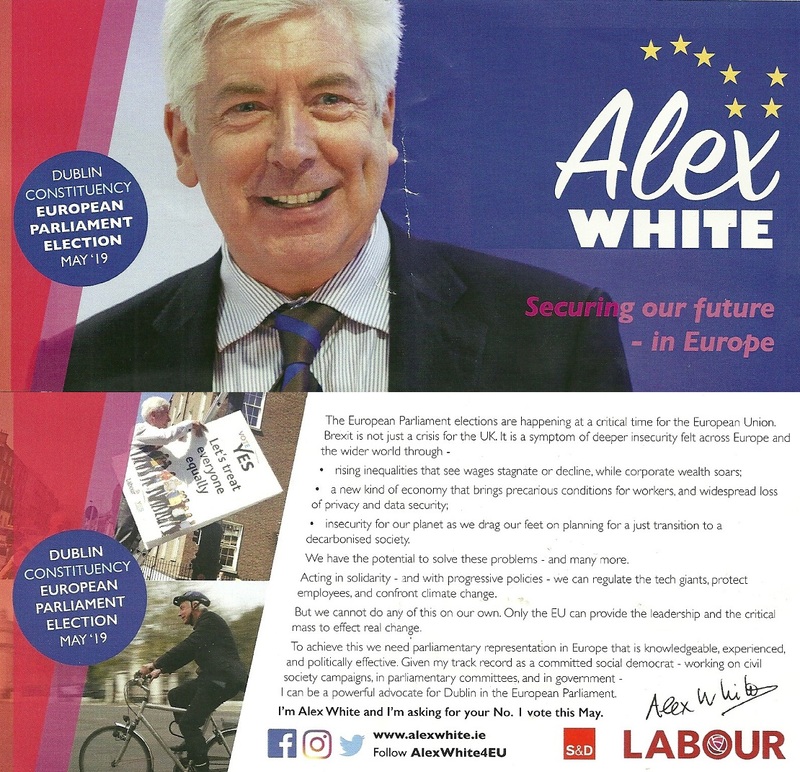 A Leaflet from Alex White of Labour who is running in Dublin in the 2019 European Elections. 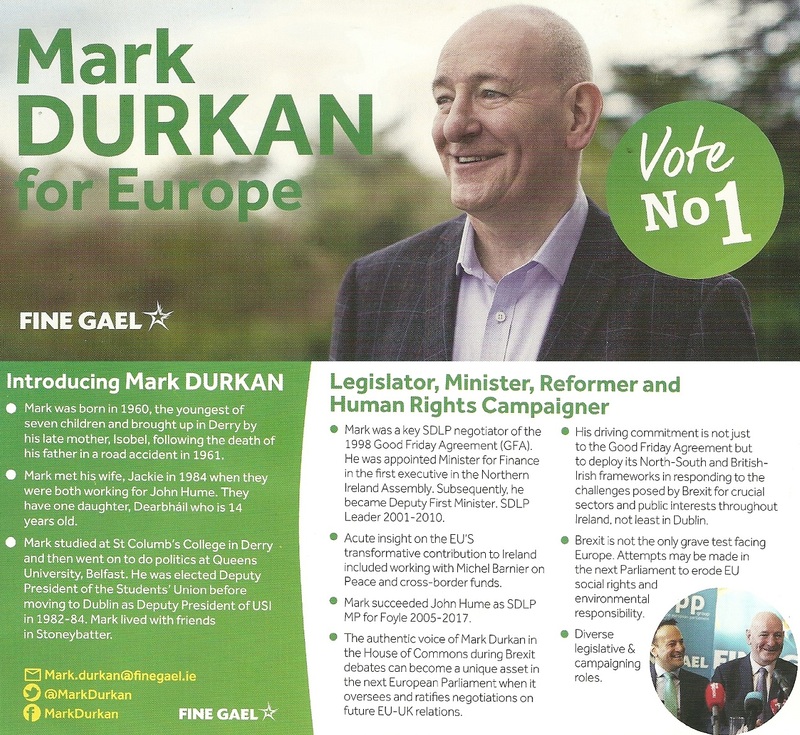 From the 2004 Local Elections The Fine Gael Dublin Manifesto .I’ve uploaded it in pdf here. 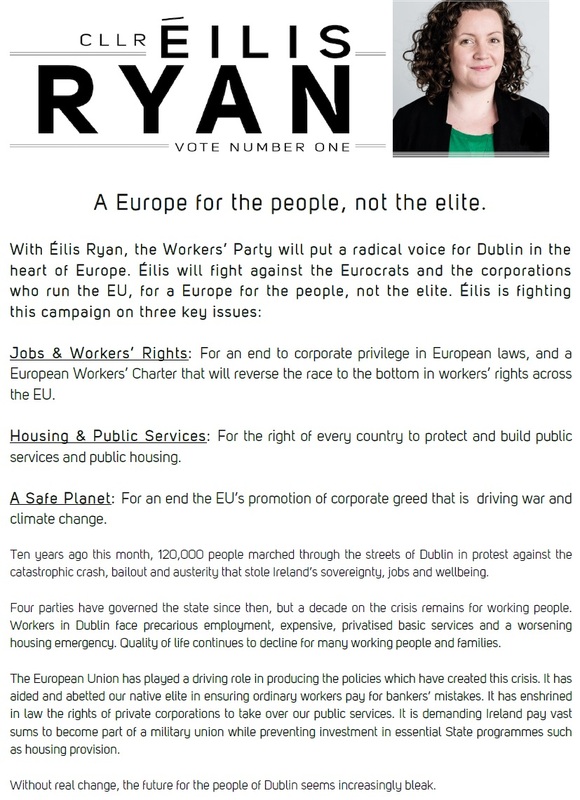 Among other things, it contains some solutions for the housing crisis that existed then, that may be still applicable. 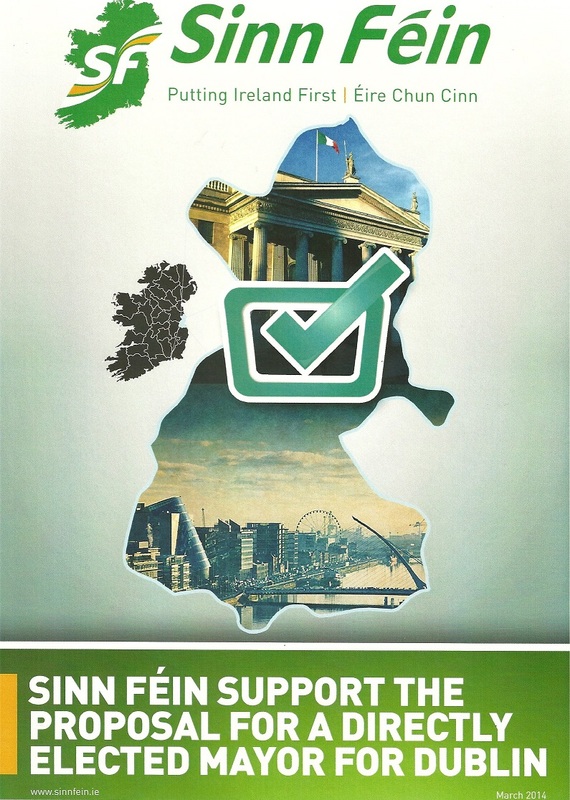 From March 2014 a leaflet from Sinn Fein outlining their support for a directly elected Mayor for Dublin.